Roy R. Neuberger, who drew on youthful passions for stock trading and art to build one of Wall Street’s most venerable partnerships and one of the country’s largest private collections of 20th-century masterpieces, died on Friday at his home at the Pierre Hotel in Manhattan. He was 107 and had lived in New York City for 101 years. His death was confirmed by a grandson, Matthew London. Mr. Neuberger had set out to study art, but ended up as a stockbroker, a life path once likened to Gauguin’s in reverse. As a founder of the investment firm Neuberger & Berman, he was one of the few people to experience three of Wall Street’s major market crises, in 1929, 1987 and 2008. Although his artistic ability left no lasting impact, his wealth did. Believing that collectors should acquire art being produced in their own time and then hold on to it, giving the public access but never selling, Mr. Neuberger accumulated hundreds of paintings and sculptures by Milton Avery, Jackson Pollock, Willem de Kooning and others, becoming one of America’s leading art patrons. Those works are now spread over more than 70 institutions in 24 states, many of them in the permanent collection of the Neuberger Museum of Art, which opened in 1974 on the Purchase College campus of the State University of New York. The money to buy the works came from his investments at Neuberger & Berman (now Neuberger Berman), the brokerage and investment firm he founded in 1939 with Robert B. Berman. The firm catered to wealthy individuals but also took on a less affluent clientele with the establishment, in 1950, of the Neuberger Guardian mutual fund, one of the first funds to be sold without the usual 8.5 percent upfront sales commission. His art collecting drew on the lessons he learned in the financial world. Each year he would buy more than he had bought the previous year, often purchasing large lots at a time. In 1948, for example, he bought 46 paintings by Milton Avery, whom Mr. Neuberger counted as a close friend. He eventually owned more than 100 Avery works. Roy Rothschild Neuberger was born on July 21, 1903, in Bridgeport, Conn. His father, Louis, who was 52 when Roy was born, had come to the United States from Germany as a boy. His mother, the former Bertha Rothschild, was a native of Chicago, a lover of music (she played the piano) and a “nervous, troubled woman from a large, well-to-do Jewish family, not related to the famous Rothschilds,” Mr. Neuberger wrote in an autobiography, “So Far, So Good: The First 94 Years” (John Wiley & Sons, 1997). His father was half owner of the Connecticut Web and Buckle Company and had an interest in the stock market, owning thousands of shares in a Montana copper company. The Neuberger family moved to Manhattan in 1909, settling on Claremont Avenue opposite Barnard College on the Upper West Side. Mr. Neuberger attended DeWitt Clinton High School, where in his senior year he was captain of the tennis team that won the Greater New York championship. It was while working for two years as a buyer of upholstery fabrics for the department store B. Altman & Company that he said he developed an eye for painting and sculpture as well as a sense for trading. Both would greatly influence his later life, as would John Galsworthy’s series of novels “The Forsyte Saga,” which described the practice among well-to-do English families of educating their children on the European continent, and “Vincent van Gogh,” a biography by Floret Fels. The first book led Mr. Neuberger to a sojourn in Europe. Using money inherited from his father, he set out in June 1924 for a life of leisure. While living mainly on the Left Bank in Paris, he spent afternoons at a cafe, played in tennis tournaments in Cannes and traveled to Berlin and other European capitals. In Paris, Mr. Neuberger was inspired by the van Gogh biography to collect and support the work of living artists. He arrived on Wall Street in the spring of 1929, as the bull market was roaring toward its peak. Hired for $15 a week as a runner for the brokerage firm Halle & Stieglitz, he soon learned all aspects of the business, at the same time managing his own money. One of the first big trades he executed on his own behalf was designed to hedge his own wealth against the possibility that the stock market might fall from its precarious height. He sold short 100 shares of the Radio Corporation of America, the most popular stock of the era, betting that its price would decline from its lofty level of $500. In October 1929 came the crash that ushered in the Great Depression, and while Mr. Neuberger’s blue-chip stocks fell, his bet against RCA paid off well: the stock’s price eventually fell into the single digits. He said he lost only 15 percent of his money in the crash, while many others lost everything. On June 29, 1932, the Dow Jones industrial average dipped to 42 and Mr. Neuberger married Marie Salant, a graduate in economics from Bryn Mawr who had gone to work in the research department of Halle & Stieglitz two years earlier. “I can report that by June 29, 1996, the Dow Jones industrial average had climbed to 5,704 and Marie and I had had 64 wonderful years together,” Mr. Neuberger later wrote. Mrs. Neuberger died in 1997. Besides Mr. London, Mr. Neuberger is survived by his daughter, Ann Neuberger Aceves; his sons, Roy S. Neuberger of Lawrence, N.Y., and James A. Neuberger of New York City; seven other grandchildren; and 30 great-grandchildren. Emboldened by his management of his own assets, Mr. Neuberger became a stockbroker at Halle & Stieglitz in 1930, leaving nine years later to start his own firm, Neuberger & Berman. The firm was later acquired by Lehman Brothers, but spun off in 2008 as a stand-alone company with Lehman’s bankruptcy. Mr. Neuberger continued to go to his Neuberger Berman office every day until he was 99, Mr. London said. He preferred to share his love by donating works to museums and colleges. In May 1965, Mr. Neuberger received an anonymous offer to buy his art collection for $5 million, a sum he considered a fortune at the time. Years later he learned that the offer had come from Nelson A. Rockefeller, then governor of New York. Mr. Rockefeller went on to play a key role in Mr. Neuberger’s art collection. In May 1967, while Mr. Neuberger was visiting Mr. Rockefeller at his Pocantico Hills estate in Westchester County, the governor offered to have New York State build a museum to house the collection at the State University campus at Purchase. Designed by Philip Johnson, the museum opened in May 1974. Mr. Neuberger often said that the true spirit of his collection could be found on the second floor, which held seminal paintings by Pollock, Stuart Davis, Edward Hopper and Georgia O’Keeffe, as well as many Milton Averys. 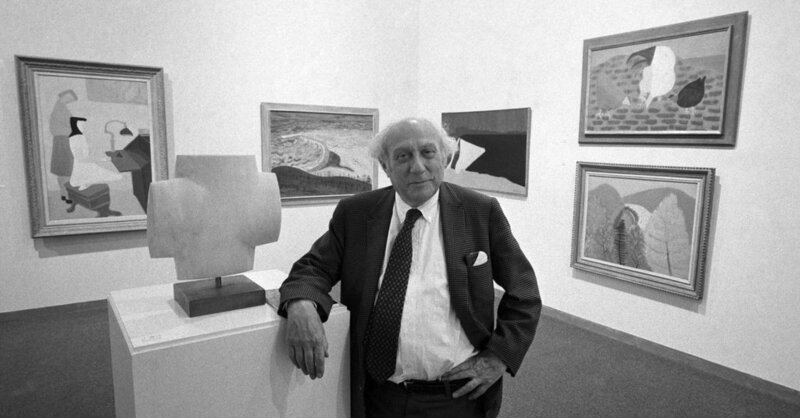 Mr. Neuberger made an additional gift of $1.3 million to the State University at Purchase in 1984 and other major gifts to the Museum of Modern Art and the Metropolitan Museum of Art. He also served as a president of the New York Society for Ethical Culture and the American Federation of Arts. Mr. Neuberger’s second memoir, “The Passionate Collector,” was published by John Wiley & Sons in 2003. 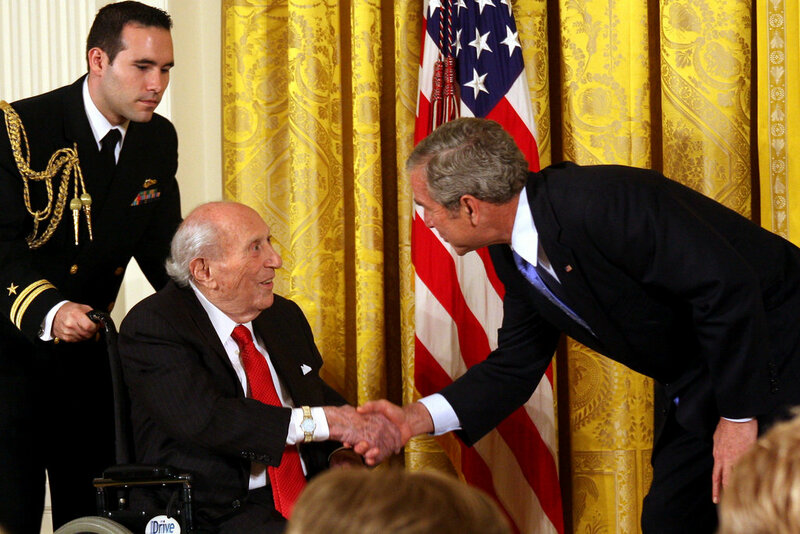 At a White House ceremony in 2007, President Bush presented Mr. Neuberger with a National Medal of Arts. Like any collector, Mr. Neuberger rued the ones that got away. He remembered passing up a Grant Wood painting as well as refusing to pay $300 for a Jasper Johns in the late 1950s. One time a dealer offered him a Picasso sculpture for $1,500, but he declined because he was buying works only by American artists. “I was such a square that I stupidly didn’t buy it,” he told The New York Times in an interview in 2003.